Another week, another member of the 1986 Mets outed as a tax evader. 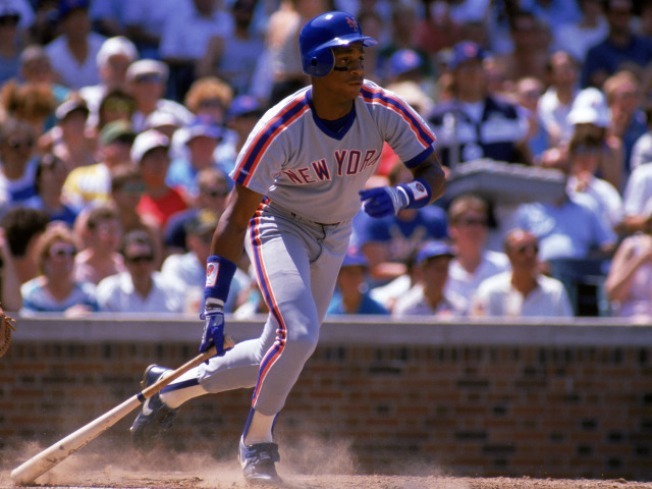 Last week it was Ron Darling, and now it is Darling's former teammate and current SNY co-worker Darryl Strawberry who finds his dirty tax laundry flapping in the breeze. The Detroit News, as it did in Darling's case, is reporting that Strawberry owes more than $554,000 in taxes, including an IRS lien on income taxes owed for 1989 and 1990. Strawberry did not respond to messages left by the paper, but it's unclear how much he'd be able to offer about those days. Based on what we know about him, those were some years of hard living for the Straw Man. His memory is probably a bit, shall we say, fuzzy about when and if he may have filed proper 1040s. Hopefully he's able to clear up any issues with the authorities before making a repeat appearance behind bars. As much as Strawberry is the poster boy for wasted talent and missed opportunities, he seemed to have cleaned up in the last few years and settled into a role as a member of New York's baseball legacy. Time heals many wounds and he's gotten a warm reception at each of the city's stadiums while doing a nice job as a member of the Mets broadcasting team and through his charitable foundation. The good news is that Strawberry may be able to lean on a true financial whiz for help digging himself out of this predicament. He's slated to be a contestant on the next season of "Celebrity Apprentice" where he can tap the vast knowledge of Donald Trump. Trump has navigated his businesses in and out of bankruptcies several times without doing any financial damage to his personal holdings. Since Strawberry's bald pate can't benefit from Trump's follicle brilliance, he should make the most of his time on the show to wriggle his way out of trouble with the IRS. All of that assumes, of course, that his haphazard economic sense doesn't get him fired right off the bat, which seems like all too likely a possibility. If that happens, let's hope Strawberry avoids getting advice from Darling and, especially, Lenny Dykstra and chooses a financial wizard who didn't spend any time with the Mets of the mid-80's.